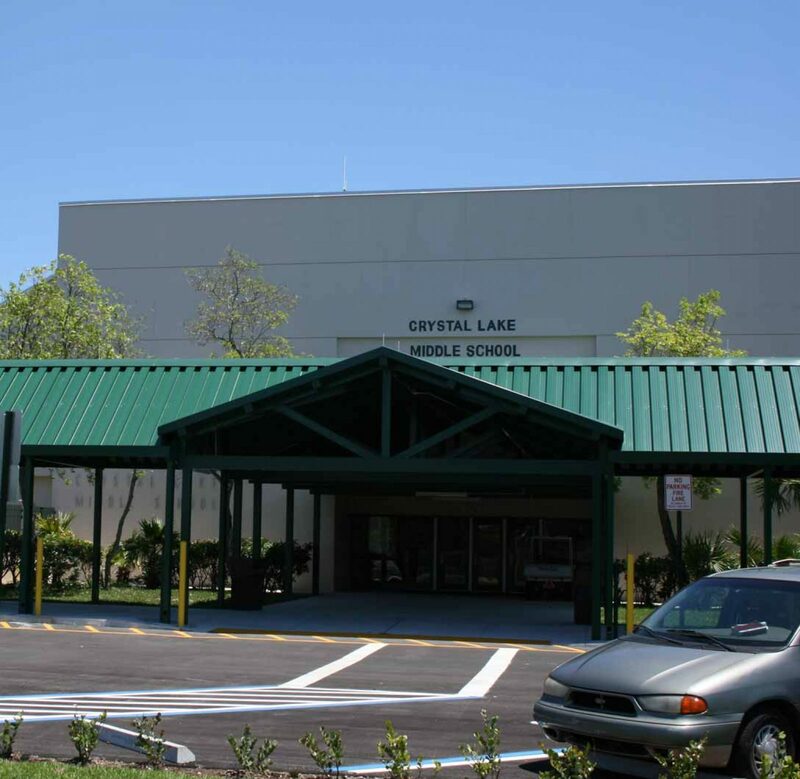 Situation > The School Board of Broward County sought the construction services of a qualifi ed commercial contractor to construct a new bus loop, parking lot and new covered walkway at Crystal Lake Middle School. the scope also includes lighting, landscaping, drainage, and irrigation. 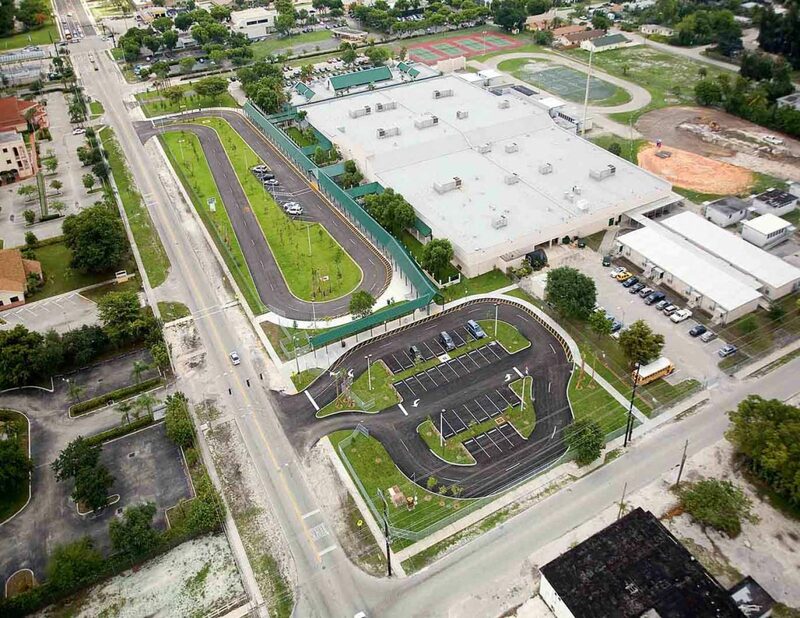 Action > Since the project took place on an occupied campus, all work was done after school hours to avoid disruption to ongoing school activities and to minimize the impact to the student drop-off/pick-up location. T&G effectively remedied the situation by breaking up the scope of work into four phases. 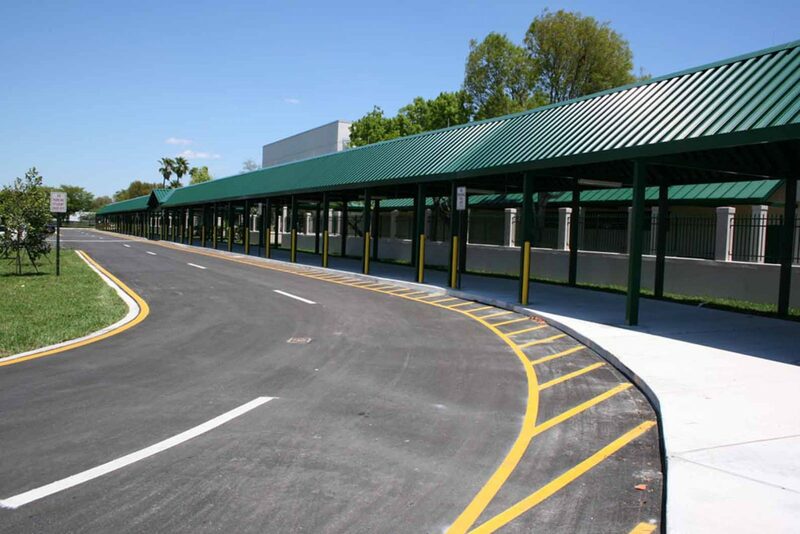 Phase I involved constructing a temporary bus loop. Phases II and III completed all construction and landscaping. The fi nal phase, Phase IV removed the temporary bus loop. 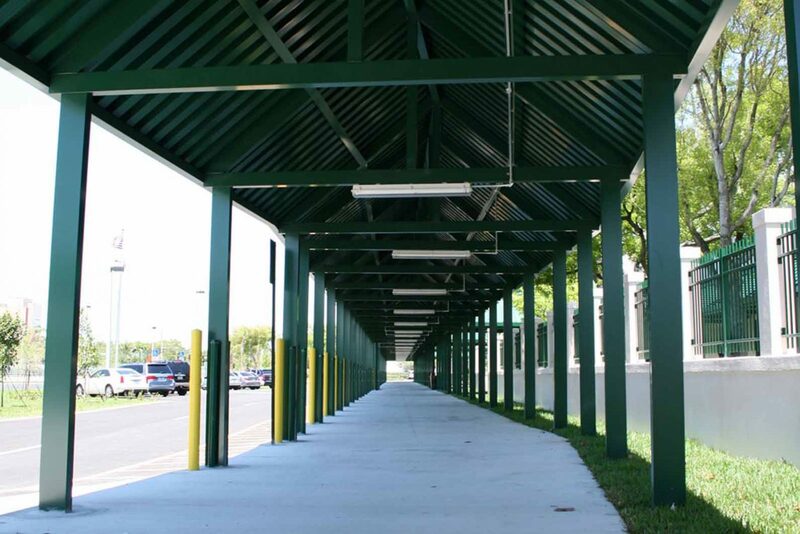 Results > T&G’s efficient construction process allowed for a successful completion without adhering to the safety of the students and faculty. This project continues to support T&G’s extensive experience of working within occupied facilities.